Discover thought-provoking and enriching entertainment on one convenient streaming platform—brought to you for free by your library. 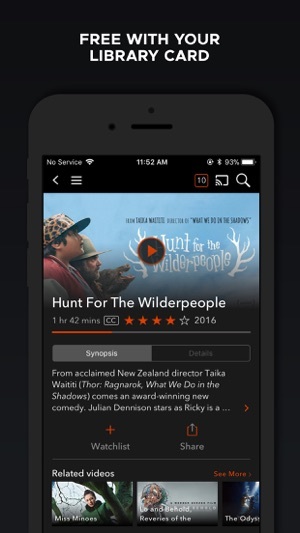 Kanopy makes it easy to find and stream meaningful films. Our catalog of thousands of titles includes festival favorites and popular picks chosen for their insight into other cultures, perspectives, and beliefs. There’s always something new to discover with titles added every month, as well as staff picks and tailored recommendations to help find the films that speak to you. 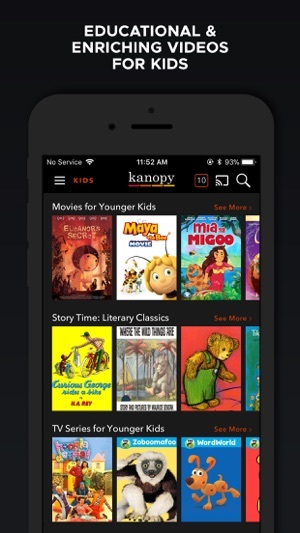 Kanopy also offers children’s programming with Kanopy Kids. Parents can browse educational and engaging videos for children of all ages that promote positive social and emotional development and inspire creativity in young minds. We have partnered with Common Sense Media™ to provide developmentally appropriate age ratings for videos on Kanopy Kids. 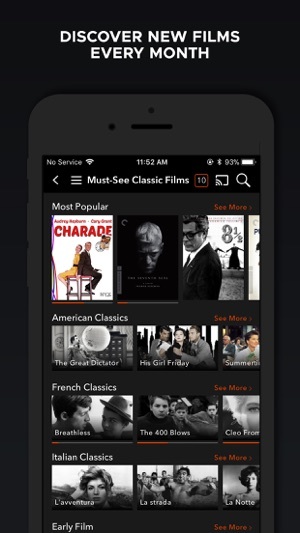 As a member of a partner library, Kanopy is free for you—no fees, no commercials. Sign up with your library card and start watching thoughtful entertainment today! Thank you for downloading Kanopy! New year, new resolutions! Our main goal: make your experience even better. 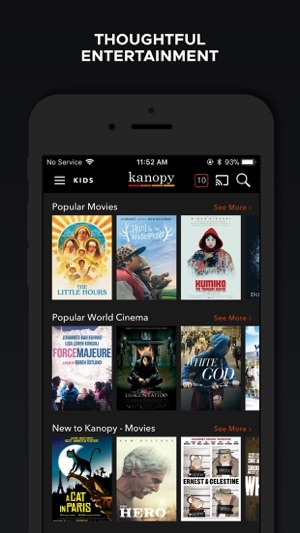 Now some links from emails or shared by your friends may redirect you to you Kanopy application instead of the app browser when it improves you experience. We also added notifications support, only if you want to, so we can suggest you contents and remind you some important stuff. (hey, don’t judge!) newsletter. I already am using the Libby app to access new and old audio, narrated, and print books free from the combined library system. I know my nearby library is full of movies but I never get them there because I’d just have to take them back soon. This app gave me a chance to have a film for 3 days with no bother returning it. I’d been wanting to see Colin Hanks’ documentary about Tower Records since it was released a couple of years ago. It was easy to sign up and it’s easy to browse the titles, which are divided by genres, and I spotted it there. It was easy to load and watch using my Apple TV and it looked just like regular movie quality. All I needed was my Seattle public library card number to sign up for this system. No downside that I can see for a freebie...5 stars! 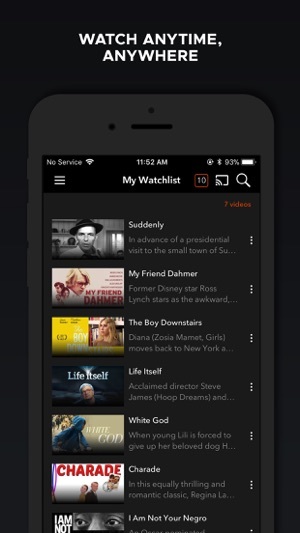 The Best Movie Application Ever! We love this wonderful selection of incredible films. 30,000 fantastic titles and growing daily, all free. Using my library credentials I registered on an iPhone. We then connected to our TV via Roku without any problems. Screening films is easy, in high definition, and commercial free. It’s like being loose in a candy store! Hundred of wonderful films of every genre, especially great foreign films which are nearly impossible to find. And it’s free!!!! The biggest problem we have is choosing what we want to watch next. Thank you so much for this application. Apple is a great company to enable us all to access films like this.